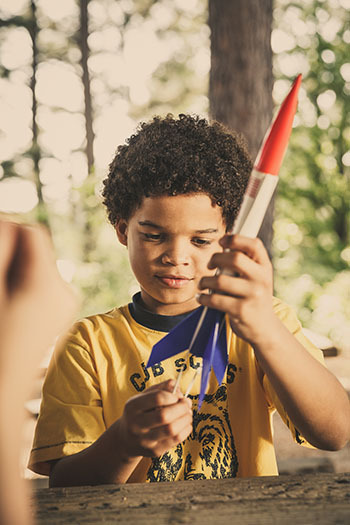 Youth who join Cub Scouts this year will receive a rocket that they can design, build, and launch at Rocket Day. Youth in kindergarten through fifth grade who are interested in joining Scouting may also attend. We will help you find a pack near you and get signed up for Scouting. The event is free; please register so we can make sure we have an engine available for your Scout. New Scouts: Rocket that you received from your pack leader (with the Scout's name on it). Scouts may decorate their rockets with stickers or markers, but no additional weight should be added. View the rocket prep video. Returning Scouts can bring their own rocket and engine. See details below. *Medical Record: We require all participants to bring an Annual Health and Medical Record to every Scouting event. 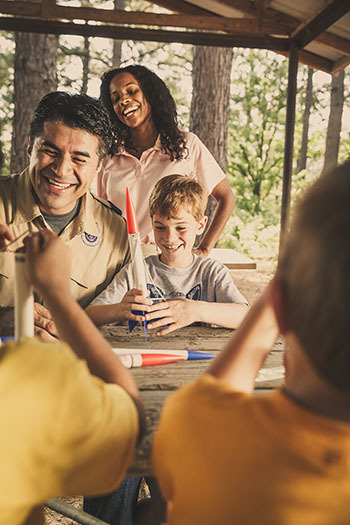 The Scouting adventures, camping trips, and having fun are important to everyone in Scouting—and so is your safety and well-being. Completing the Annual Health and Medical Record is the first step in making sure you have a great Scouting experience. Completing a health history promotes health awareness, collects necessary data, and provides medical professionals critical information needed to treat a patient in the event of an illness or injury. It also provides emergency contact information. Please download the form and have the form with you at all Scouting events for every member of your family. ^Closed toed shoes are highly recommended for all Scouting events. Many of our outdoor venues have snakes and sticks that can injure toes. Many of our activities include active games, so shoes that Scouts can run in (e.g., tennis shoes) are recommended. Scouts may bring extra rockets (e.g., for a sibling who is a returning Scout) and engines. The rocket must be a skill level 0 to 2 and the engine must be an A or B class engine. Packs may purchase additional rockets for returning Scouts in bulk from Brad McClain (brad@paulssupplies.com) or the local Scout Shop. Allow two weeks for delivery. Individuals may purchase additional rockets and motor engines at the local Scout Shop or Hobby Lobby. 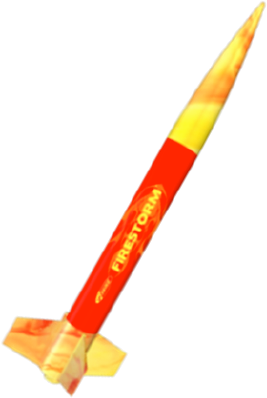 If Scouts bring their own rocket(s), the rocket should be built prior to arrival at the launch site and they must provide their own appropriate class A or B rocket engine. Remember that only adults are allowed to handle the engines. Ensure that you review the rocket kit instructions and select the recommended engine size. Watch this video for a very good briefing on prepping rockets prior to launch: https://youtu.be/hC6evC1N05c. 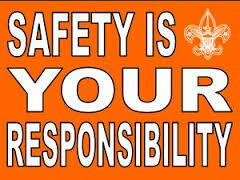 The safety of our youth, volunteers, staff, and employees is an important part of the Scouting experience. Only adults are allowed to handle or load rocket motors. Adults should always closely supervise ALL rocketry building, launching, and recovery activities. Launchers – End of launch rod must be above eye level. Every rocket should be safety inspected prior to launch. If a rocket misfires or does not launch, be sure to wait a minimum of 30 seconds before approaching it. Lightning, winds, or any adverse weather should immediately stop the launch. Recovery safety – Do not attempt recovery from power lines, tall trees, etc. In case of inclement weather, the launch will be rescheduled. BSA Guide to Safe Scouting policies must be followed. Join our council Facebook page at www.facebook.com/shac.bsa. For questions, contact Rhonda Howard.